Black Friday and Cyber Monday are once again upon us, however, being in the trenches of managing your online business means many of you have likely forgotten to plan anything for these two very important dates. With this short notice, we’ve pieced together this last minute Black Friday marketing strategy and Cyber Monday marketing plan so you can get your store up to scratch before the big weekend arrives. Obviously, you have a limited amount of time left so this plan requires just a little bit of preparation to get you up and running so you can make the most out of one of the biggest weekends on the consumer calendar. Use this last minute marketing plan as a framework to give your store a quick tidy up before all the new guests start arriving. Take the tips that work for your business and implement them and pay no mind to the ones that don’t. Don’t get stressed out doing too much if you don’t have the time to at this point, just do what you can to prepare your store for what’s to come. Ready to have a smooth and successful Black Friday/Cyber Monday (BFCM) weekend? Let’s jump into everything you need to do now to prep, plan and promote your online store. First on the list is to get your actual store prepared for the bump in traffic you’re likely about to receive. This section covers everything from upgrading your site to testing processes to checking in with your audience and getting your tracking systems in order. First things first, make sure your store is in absolute perfect working condition. You don’t want to be driving more visitors than normal to your site only to have them frustrated with the user experience once they get there. Browse through your site both on mobile and desktop devices and try to envision your pages through your customers’ eyes. Make sure navigation is quick, easy and makes sense and that important pages like product pages, the About page, the Shipping and Returns pages, the FAQ page and the Contact page are easy to find in your menus. You want your visitors to easily navigate through your site so they can find what they’re looking for quickly. Once you’re done walking through your site on mobile and desktop, get someone you know who doesn’t know your website as well as you do to walk through your site, too. They’ll likely be able to catch mistakes and flaws in the user experience that you may not have noticed. Walkthrough your checkout process as well, again, on both desktop and mobile devices to see if there are any points that may cause customers to abandon their shopping carts. 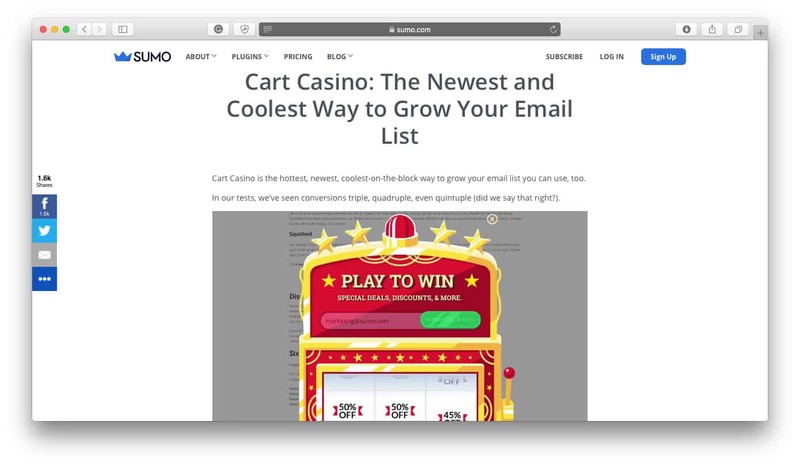 This is a vital weekend for sales and you don’t want a poorly optimized checkout process to be the one thing that causes customers to click off your site. Next on your list is to make any small upgrades to your store’s design now, either to combat user experience issues or to just make your store more functional. Check out Carson and StoreTasker to quickly make edits to your store’s design. They’ll help you handle store setup, add a special Black Friday countdown timer, tweak your theme, install apps, optimize banners or product images, create clickable call-to-action buttons or any other small task that can be done to make your store better, more beautiful and more functional for Black Friday and Cyber Monday. Alternatively, you could create a dedicated Black Friday/Cyber Monday landing page for your store using the tool Shogun. Shogun is a drag-and-drop landing page builder for Shopify and BigCommerce stores so it’s super easy to set up a landing page for a once-per-year event like Black Friday. Finally, if you’re DIYing your store’s Black Friday & Cyber Monday graphic design announcements, use the dedicated BFCM bundles on Creative Market so you can create professional-looking designs with much less effort. Take the time to prepare now for potential emergencies that may arise throughout the Black Friday and Cyber Monday weekend. It can be a stressful time for your store while you’re driving lots more traffic to your product pages and more and more customers are winding their way through your checkout process, so make contingency plans now so you don’t have to do it in the midst of all the chaos. What happens if you run out of stock? Especially since you’ll be driving more traffic to your site and selling your products at a discounted rate, there may be potential that you’ll sell through stock more quickly than you expected. Can you get more stock from your supplier now? Can they be on standby to get more stock ready quickly, if you need it? What if you sell out of all on your stock on Black Friday, what will you do for Cyber Monday? Think about your stock and inventory levels now and whether you have enough product to see you through the busy shopping weekend based on your own business’ sales projections. With more visitors landing on your site and more customers purchasing your products, it’s likely that you’ll have more customer support to handle before, during and after the BFCM weekend. Ensure that all of your support channels are up and running and that you or your team will be active on them for the entire weekend. The last thing you want is to leave your potential customers hanging while they have important questions they need you to address before they make a purchase. You could also think about getting a separate business phone number through OpenPhone so visitors and customers can call you with their questions instead. OpenPhone is an innovative app specifically designed for ecommerce merchants who want a business phone number without having to set up a completely different phone line. You can run your business phone from your personal device and you can set a 1-800 number and office hours so your phone isn’t constantly pinging for your attention. But remember, if you’re adding in any of these support tools to your website specifically for BFCM, remember to thoroughly test them first before the weekend commences to make sure they work without a hitch! You don’t want the added stress of a non-working support system on top of everything else you need to focus on that weekend. Make sure any added support tools make your life easier during the BFCM period, not harder. Since the BFCM weekend, and the weeks leading up to it, are likely going to busy with you making edits, adjustments and updates to your store, seriously consider backing up your store with a tool like Rewind to give you the peace of mind that in case anything goes wrong, you can recover your store in a couple clicks. BFCM is a critical time for traffic and sales, and one small error can massively mess that up for the whole weekend if you don’t have a contingency plan in place. The Rewind app ensures that you can quickly and easily revert your store back to exactly how it was an hour, a day, a week or a month ago, so just in case anything goes wrong, you won’t be disappointing your visitors or dealing with the headache of a broken site. Have a look at our Rewind App Review to learn more about what their service is capable of. Next, you’ll need to review your current store policies. Consider that many people will be purchasing products from your site as gifts for friends and family for the holidays. Because of this, you may want to offer an extended return policy that leaks into January. Shipping Dates: With the rush, will you still be able to ship items on time? If you work with a dropshipper, you may want to give them a call and inquire about any expected slowdowns in service. The same applies if you use a fulfillment warehouse, although a good fulfillment warehouse will be prepared. Regardless, it’s worth a quick phone call to make sure your shipping and fulfillment company will be ready to rock the BFCM season. Return Policy: As mentioned above, many people will be purchasing items as gifts over Black Friday and Cyber Monday and expect extended return policies as well. Consider extending your return policy into January. 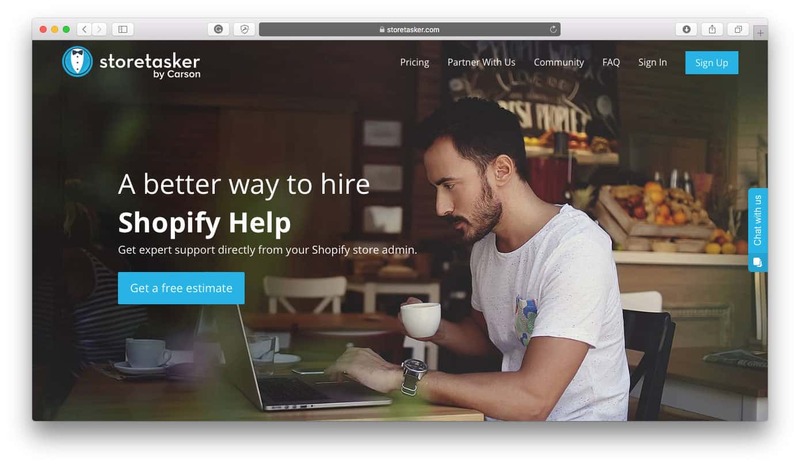 Use Shopify’s free Return Policy Generator to create a professional return policy for your online store. Shipping Policy: What is your policy for shipping throughout the BFCM weekend? Will it be the same, will you offer free shipping or maybe flat-rate shipping? Think about how your shipping policy can make the shopping experience better for your BFCM customers, too. Make use of this Shipping Policy Template to create an all-encompassing shipping policy that covers all the important parts of the shipping process. Once you have determined all your policies, you will want to highlight these on your website. Apply them to your standard policy page and consider highlighting them on your homepage as well. Once you have everything up and running on your site, test everything. Especially test anything new that you’ve recently updated on your store but, in general, test everything. Pay particular attention to your site’s shopping experience, checkout process and customer contact systems. Not only should you be preparing your own store for the BFCM season, but you should also consider preparing your customers as well. They may already be anticipating that you store will feature some sort of BFCM sale, but giving them a heads up on what to expect can help them prepare and be ready to shop. This is a particularly good strategy if you sell big-ticket items that customers don’t typically impulse purchase but rather like to take time considering before they buy. To prepare your audience, you don’t have to give all your sale information away before it goes live, but you could share with your customers which items will be included in the BFCM sale, when your sale will start and when it will end, the range of discounts they can expect to see on your store (20% off, 50% off, 70% off, etc.) and where they can find the sales on your site. Consider using this time to create a sense of urgency and scarcity so your audience can get excited to shop on your site and know that they need to be prepared to shop when the sales go live. The Black Friday and Cyber Monday weekend comes around every year, so it’s likely that your competition has been through this process several times before and knows what works for them and what doesn’t. Be prepared to pay attention to what your competition is doing this BFCM so you can learn a few tips from them about what they do and when they do it. Pay attention to the types of sales they offer, what products go on sale, how they alert their audience, how they drive traffic to their store, whether or not they use ads, what their email and social campaigns look like and more. You can do this with a tool such as VisualPing where you can individually select any part of a website and they’ll alert you whenever it changes. Use it to track when competitor’s deals go live, whether they change the deals, how their homepage updates throughout the BFCM weekend and more. 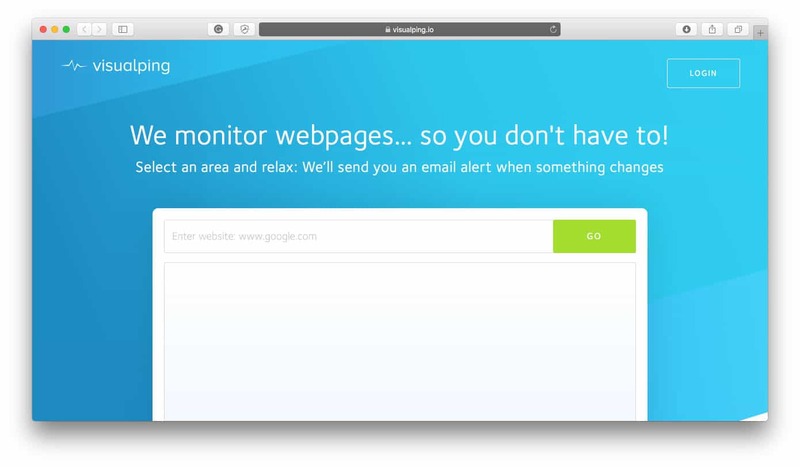 VisualPing will keep an eye on your competitor’s site so you don’t have to constantly be checking. Keep your finger on the pulse of your competitor’s Black Friday marketing strategy so you can find their strengths and weaknesses and use them to your advantage, if not this Black Friday then next. Since you’ll likely have an upswing in traffic coming to your store before, during and after the BFCM period, now is a great time to make sure all your tracking systems are up and running so you can review the metrics after BFCM is over. Tracking your metrics can put into perspective how your store performed over the BFCM period, how customers interact and engage with your store, whether your campaigns, marketing and advertisements were successful as well as what you did well and what you can improve on for next year. Google Analytics: An essential tracking system for your store in general, if you aren’t already using Google Analytics then you definitely should start now. If you need an introduction to using Google Analytics for Shopify stores, check out our Shopify Google Analytics: The First Steps to Enhanced Ecommerce article. 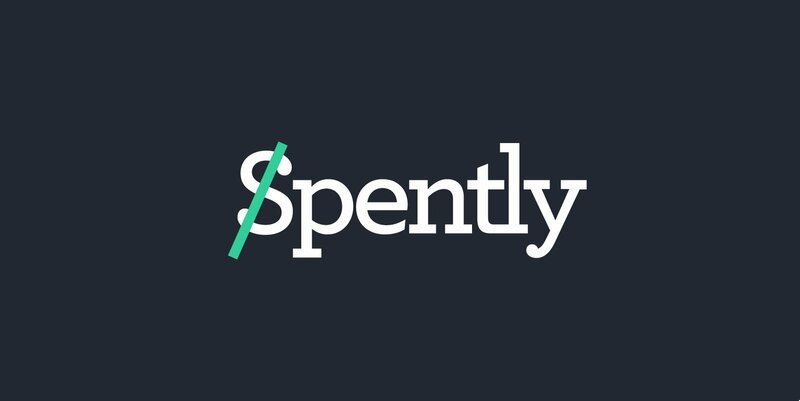 Shopify Reports: If your store is set up on Shopify, pay attention to your Shopify Reports around the BFCM period and don’t forget to reflect on the metrics after it’s over. Email Campaign Reports: In the BFCM period you’re likely going to be sending out lots of emails to your email list, so pay attention to the metrics collected by your email service provider so you can assess each campaign’s success. Next, it’s time to plan your actual Black Friday marketing strategy and Cyber Monday marketing plan. This is the bulk of what you’ll actually be doing and promoting through the BFCM weekend, so take your time putting these plans into place. The first thing you need to do is decide on your exact promotion. Many retailers offer massive discounts to drive traffic on Black Friday/Cyber Monday but you need to look at your margins and decide what you can and can’t afford. Don’t feel pressured to offer insane sales like 50% off. 10 – 20% off can encourage enough people to buy and give you a healthy sales boost if your products don’t normally go on sale. If you’re dropshipping and margins are really thin, consider that even offering a small percentage like 5-10% off can help increase sales if you don’t usually offer deals and discounts. This could also be the one time of year you utilize the “loss-leader” strategy, which basically means you offer products below cost in order to drive sales and introduce new people to your brand. Buy one get one free / Buy 3 get 2 free, etc. Spend $75 get $10 off, spend $100 get $15, spend $200 get $25, etc. One of the biggest parts of any ecommerce business’ Black Friday marketing strategy is to increase the overall average order value for each customer that lands on your site. Since you’ll be selling your products at a discounted rate, it’s important to increase the average order value that every customer spends on a visit to your site to compensate for the discounted rates. Selling in quantity is important in the BFCM period so your store can make up for the lack of margin quality. Bold Commerce is the perfect place to go to find apps that can help you do all three tactics more easily. They’ve built apps specifically to help merchants increase their Average Order Value so if that’s high on your priority list this BFCM, check out Bold. Funnels are your friend when it comes to operating a successful online business that keeps visitors and customers coming back to your site for more so don’t neglect them, especially around the BFCM season. 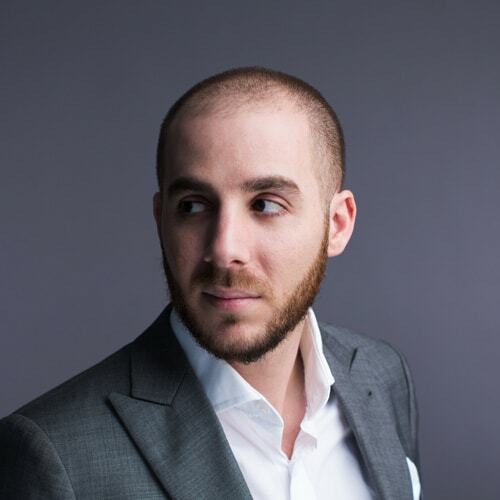 For new customers, funnels are the journey your customers take from acquisition to purchase, and for current customers, they’re the journey a first-time customer takes to becoming a recurring customer. By creating funnels you develop a path that your visitors and customers can use to easily return back to your store which earns you more sales and profit. It’s easier and cheaper to convince a current customer to return back to your store, so create funnels with the intention of keeping visitors on the track of becoming customers and one-time customers on the track to becoming recurring customers. New Visitors Funnel: Since you’ll be driving a higher volume of traffic to your store, there’s likely to be new visitors who are coming to your store for the first time. Find a way for these customers to come back to your store whether that’s by convincing them to sign up to your email list, or by getting them to follow your brand on social media. 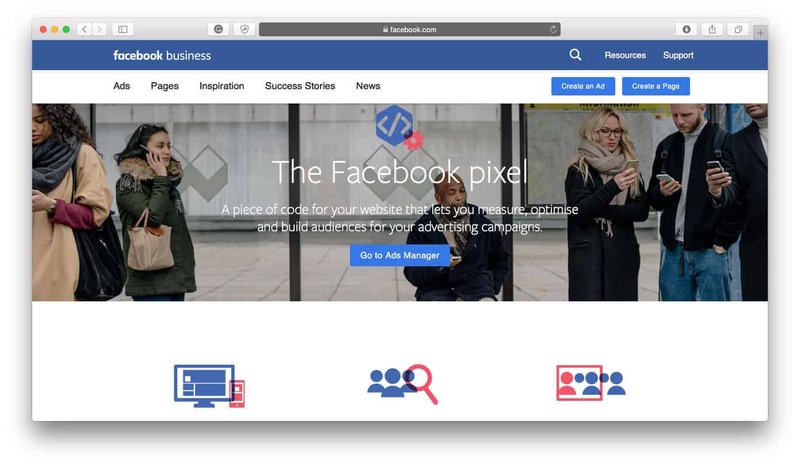 Alternatively, your Facebook Pixel will track their information and you’ll be able to get new visitors into your funnel by retargeting them through Facebook Ads next time you run a Facebook Ads campaign. Returning Customers Funnel: Get people who have purchased from your store before to come purchase from your store again. If they were a customer, you likely have them on an email list, so create an email marketing sales funnel that will drive them back to your store again. BF to CM Funnel: Some visitors might not be ready to purchase on Black Friday, so create a mini sales funnel to get those visitors back to your site between Black Friday and Cyber Monday so they make a purchase by the end of Cyber Monday. This will be much more of an acute funnel that you drive a lot of energy and effort into for a short period of time but this is likely to be a highly-targeted audience that are worth the return on investment. Abandoned Cart Recovery Funnel: This is important to have all year round but incredibly important to implement during the BFCM season when you have such a convincing call-to-action to get customers to resume their shopping cart checkout. Consider creating an abandoned cart recovery funnel during the BFCM period that specifically emphasizes to customers that this is the only time they’ll be able to get these deals until next year. Shopify has a built-in abandoned cart recovery system so if you’re set up on Shopify and want something basic, stick with that. If you want more features and functionality check out Jilt, the abandoned cart recovery service that offers dynamic coupons to draw in each potential customer so you can recover lost revenue. Our Jilt Review covers more in-depth what they offer merchants and how the abandoned cart recovery process works. Tracking: Keep track of your visitors and customers so you know who falls into which category. You’ll want to track the number of visitors to your site, the breakdown between new visitors to returning visitors, and abandoned cart rates, to name a few. These metrics can be found in your Google Analytics or your store’s reports. Contact: In order to get your visitors or customers into your funnel, you need a way to create contact with them again. For first-time visitors you likely won’t have their email, so your best bet is to use something like the Facebook Pixel to be able to put your ad campaigns in front of them again at some point. Check out our article on Facebook Retargeting Ads to learn more about how to do this. If you’re targeting customers that have purchased from you in the past, you likely have access to their email address. That’s one of the best forms of contact you can have and one of the ways you’ll be able to keep customers in your funnel. Call-to-Action: Every sales funnel needs a call-to-action, otherwise understood as an action you want your visitors or customers to take to get them to the next step. For new visitors, the call-to-action you may want them to take next in your sales funnel is to visit a product page they were looking at before. For customers who abandoned their shopping cart, the call-to-action you’ll likely want them to take next is to complete their purchase. For returning customers, the call-to-action you’ll likely want them to take is to make another purchase. Let the call-to-action be the driving force for each sales funnel, no matter whom it’s targeting. Once you have your BFCM promotions decided on, it’ll be time to promote them to your audience! Promoting your offers is going to be the main way your audience knows that you have something available for BFCM and it will drive them to your website to check it out. Advertising your BFCM promotions is also a great way to acquire new visitors and get them to discover your brand. Since your products will be available at a discounted rate, they’ll be more likely to check out what you sell and pick up an item for themselves. It may already be getting too late for Google to pick this up, but you should write a blog post about your Black Friday promotion. You can either tell your readers what to expect or tease at it. For SEO purposes, make sure to title your post “Black Friday (Your Niche) Deals”. Make sure you add a new header image or some type of image to your homepage that links to your blog post. You need to start getting the word out and promoting your Black Friday/Cyber Monday promotion. In addition, adding some type of holiday graphic element to your homepage is the equivalent of putting a pumpkin out on Halloween: It signals to the neighborhood kids that your house is participating in this holiday. Besides homepage images, you’ll also definitely want to share your promotion across your active social networks to help spread the word. This includes images for services like Facebook, Twitter, Instagram and any other social channels you actively participate in. Check out Creative Market’s social media bundles, these Top 10 Facebook Post Templates for Ecommerce Businesses, or these 25 Instagram Templates for Ecommerce Businesses, Brands & Bloggers to create beautiful and functional social sharing images for your BFCM promotions. Email marketing – depending on your list size – will likely be your best source of traffic and your best ROI during the BFCM period. By leveraging your existing customer database, your chances of increasing traffic and garnering sales will be much higher than other marketing channels like pay-per-click, which can be expensive around the BFCM time. Furthermore, if your database is segmented by customer preference or previously purchased items, you’ll be able to increase your percentages of sales purchased by sending targeted campaigns. You’ll want to plan out a few emails in advance to go out over the course of the promotion. If you don’t typically send out frequent email newsletters, don’t worry too much about bombarding your email list: Most people expect to be receiving more emails around the Black Friday/Cyber Monday time, anyways. Email #1 — Black Friday Anticipation Email: The purpose of this email is you let your audience know you will be having a Black Friday/Cyber Monday sale. You may wish to hint at what you’ll be offering or you may want to tell them exactly what you’ll be discounting. Your call-to-action should drive them to your site to start looking at your products. You want them making a list of items they want before Black Friday commences. Email #2 — Black Friday Announcement Email: You’ll want to get this email out early so that it’s waiting in your subscribers’ inboxes when they wake up. This email should serve as a reminder of your BFCM sale and exactly what you’re offering with a direct link to either your homepage or an internal page with a collection of goods. Email #3 — Cyber Monday Anticipation Email: Just like you did with the Black Friday Anticipation Email, you’ll want to get something out to your subscribers to tell them about your offers for Cyber Monday. Don’t send it before Black Friday, though, because you want customers to make a purchase on Black Friday! Email #4 — Cyber Monday Announcement Email: Just like the email you sent out the morning of Black Friday, you’ll want to send out another email the morning of Cyber Monday to announce the start of the sale. If you plan on offering a different promotion for Cyber Monday, make sure to tell your audience. You may want to consider a different promotion if your Black Friday promotions didn’t do as well as expected. Email #5 — Promotion Extension: Many retailers will extend their promotions into the week. If you decide to extend your sales for a few more days, you’ll want to send out another email to notify your subscribers. If you’re familiar with Google Adwords and already have campaigns running, it will take 30 minutes to an hour to set up another campaign for your Black Friday/Cyber Monday promotion. You should set this up a few days before and run it through the BFCM weekend. Remember, because of the popularity of the holiday, you’ll likely want to bid a little more aggressively for your chosen keywords. Make sure to use strong call-to-action words in your ads such as “Free Shipping,” “[Percentage] Off,” “Black Friday,” “Cyber Monday,” “Now,” and “Free Shipping,” to entice buyers. Note: If you haven’t used Google Adwords before or are fairly new to Adwords, now is not the best time to learn. Skip to the next section and focus on other marketing methods instead. Social media ads are a great way to get your BFCM promotion in front of your target demographic and acquire new visitors to your site. 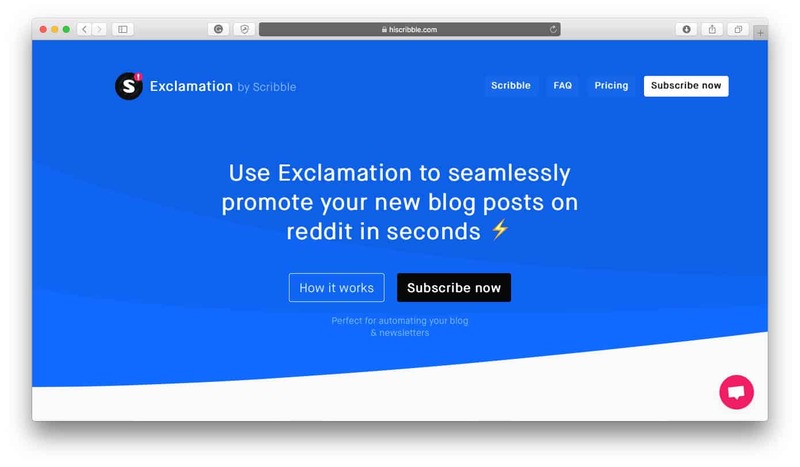 Even if you’ve never used these types of ads before, they’re typically really easy to get started creating. All you’ll likely need is a business account on each social platform and an ad campaign image to share. Check out our article on Facebook Retargeting Ads to put your Facebook Pixel to work drawing in any of your warm leads and learn more about how to run successful Instagram ads in Shopify’s Guide to Instagram Ads. Make good use of your social channels for the week leading up to Black Friday and through the weekend. Use Buffer to automatically schedule your Facebook posts, Instagram images and tweets to go out and fill your stream with your offers and details. You may want to consider a few time-sensitive or limited quantity deals that you share only on your social channels. Make sure to also monitor your social channels for questions or problems your customers may have over the course of the weekend. Many people will use your social channels to find answers there, hoping for a quick reply from you. Consider it as one of your customer support channels! Some advertising channels aren’t great to get started with during the BFCM weekend if you’ve never used them before, while others are easier to get started with so implementing them during the BFCM period can be a lucrative way to acquire new customers. Beamer: Check out our Beamer Review to learn more about how you can notify your visitors of your BFCM deals, even when they don’t land on your homepage. Start generating buzz to your store now, before BFCM actually starts, so you can introduce visitors to your brand and get them acquainted with the products you sell. By starting to generate buzz now, you’ll keep your brand top of mind when it comes to BFCM weekend. Check out tools like ViralSweep and Vyper.io to get started creating viral giveaways. They’re powerful tools to use to get a lot of attention to your brand while gaining new customers via referrals. 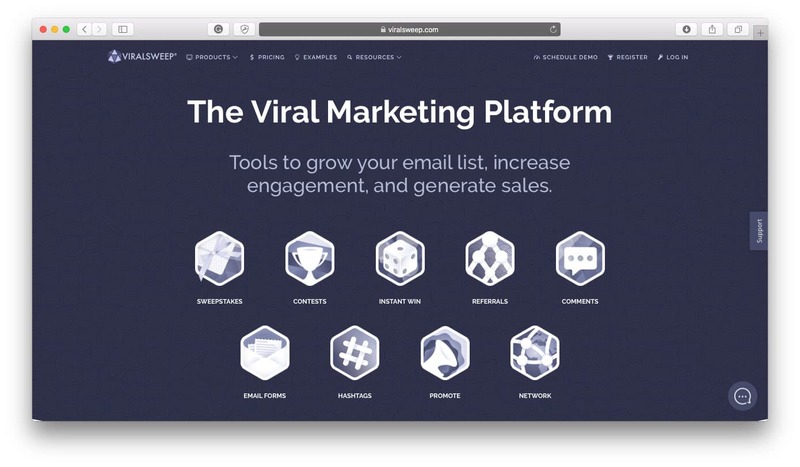 Check out our ViralSweep Review to learn more about how the tool works and how brands use viral giveaways to grow their customer base. Just because the BFCM weekend ends doesn’t mean your work does. With new customers and (hopefully) lots of orders to package and send out, you’ll be busy as ever making sure everything is running smoothly. Maintain Your Support Channels: Customers are likely going to be contacting you throughout the rest of the purchasing process as they wait for orders and receive their orders. Be prepared to stay active on your customer support channels so customers are satisfied with the service they receive from you. Keep Up With Shipping & Returns: Now that orders have been placed, it’s time to send them out and, quite possibly, time to receive some returned items. Keep on top of the process so customers don’t experience long wait times or products they’re dissatisfied with. Keep the Customers You’ve Acquired: It’s likely that you’ve acquired some new customers throughout the BFCM process, so hold on to them! Entice them to sign up to your email list, get them to follow you on your social channels and keep in touch with them in as many ways as you can so that you can convert them into a customer again in the future. Review Your Tracking Metrics: You put effort into preparing your tracking metrics before the BFCM period started, so don’t forget to reflect on the data you collected so you can analyze your strengths and weaknesses. This step can help you create a better Black Friday marketing strategy for next year, so don’t forget about it. Review Your Competitors’ Strategies: Now that you’ve had an eye on your competitors throughout this year’s Black Friday marketing strategies, what can you learn from them? Think about what they did and didn’t do well and how you can integrate what you’ve learned from them into your Black Friday marketing strategy next year. We hope this Black Friday marketing strategy has helped you prepare for the BFCM season ahead. Put the work in now so you can reap a valuable return on investment when the time comes! Thank you for laying this all out so nicely for us. It will be really helpful for me. Thanks as always for stopping by Carole! Hope it helps a bit! You rule, Richard. 🙂 Dripping with value. Stay tuned. I got some massive value pieces coming out shortly. Thanks Richard! Another value packed post… Keep it up! PPC is the best weapon to boost up your eCommerce Marketing. Having so many competitors in the market, you need to do this task with some accurate research and proper budget.